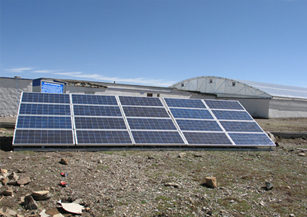 Project Background: Nagqu is located at Tibet Autonomous Region with average altitude of 4450 meters, where there is rich of abroad prairie and abundant solar energy. 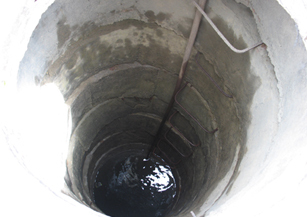 However,the people and cattle there is severe shortage of water. 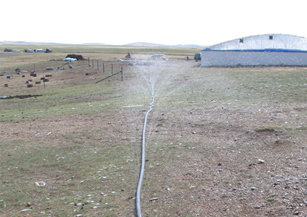 Our solar pumping system can provide enough water for prairie irrigation and livestock’s drinking water. 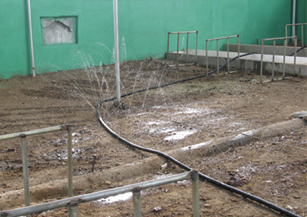 Solution: Adopting Solartech solar pumping system model PS1100, the water capacity is 50tons/day. Economic Benefits: The solar system can generate electricity 3660 kWh annually. In its 25-year long application, the system can save standard coal up to 34.4 tons, reduce emission of carbon dioxide, sulfur dioxide, soot and ash by15 tons, 0.7 tons, 0.5 tons and 9 tons respectively.